Today begins the ban on contact with religious anything for Advent and Christmas. Since childhood, and worse in the last 23 years of bipolar expression, I’ve had a religious euphoria where I get delusional around Christmas. The experience usually culminates on Christmas Eve. But the mystery and mysticism that many churches infuse in their Advent celebrations has been known to trigger the delusion earlier than the week of Christmas. Last year, for instance, I had the delusion for the whole month of December. It is common for bipolar mania to be religious in nature. Mine happens to take the form of a heightened sense of spiritual and physical unity with all of the world – people, animals, nature. That’s the euphoria part. The delusion is that somehow I personally – not Mary – am bringing salvation into the world by bringing Christ into the world, and I have a mission to help everyone experience the mystical unity with Christ and with all of the world in order to make the world a more peaceful place. This experience is long ingrained into my experience of Christmas, and I don’t know that it will ever go away. I have had the euphoria experience many, many times, each an expression of bipolar mania, and not a rich spiritual life as spiritual directors and other pastoral colleagues I’ve confided in have thought. Each euphoria, when it reaches its peak, has a piece of the delusion in it. I am to save the world with my actions using the power of Christ. During one manic experience, the mania before my first suicidal depression, I was inviting strangers into my home for movie discussions about the efficacy of religion. Fortunately, no one showed up for the series. I was convinced at the same time that my religious experiences were pushing me to become a Benedictine Oblate. I was flying so high in my euphoria that I was blogging about the breathless unity and clarity of vision and the visions I was having. I even started preaching about them (I was the solo pastor at a church at that time). That was the highest mania I have had, and it crashed hard into a suicidal depression that I have been dealing with off and on for over 5 years. It was the first time I felt suicidal. It is common for manias to be followed by an equal descent into depression. The higher you fly, the lower you crash. Back to today. In order to prevent or lessen the euphoria and delusion that I’ve had at Christmastime since I was a child, I do not participate in anything religious about this time of year. It’s hard to give up what was my favorite season and holiday, but it was my favorite because of the manic expression and delusional euphoria I experienced. It felt good to fly so high and have a purpose for my life! It will still be years until I might be able to tolerate or celebrate Advent or Christmas again. Maybe it’s the way it’s celebrated in mainline churches that makes this time of year so hard for me. I find it hard to tell because I started attending mainline churches at the same time as my bipolar flowered and my mood cycles kicked in. I’m having an especially hard time this fall, and now it is likely to get worse as the euphoria and delusion will probably kick in. I’m acutely aware of the community I’m missing by not attending church or fellowship. Even people I only know by sight. I’m losing a significant piece of my support system. I will return to church after Jesus’ Baptism Sunday (baptism and communion as sacraments are hard for me too – a little too mystical and could trigger some euphoria). So sometime in January I can go back to church – until Holy Week and Easter, another banned time for me because of my tendency toward religious euphoria during mystical or special times in the church year. This entry was posted in Moods, Spirituality, Support System. Bookmark the permalink. 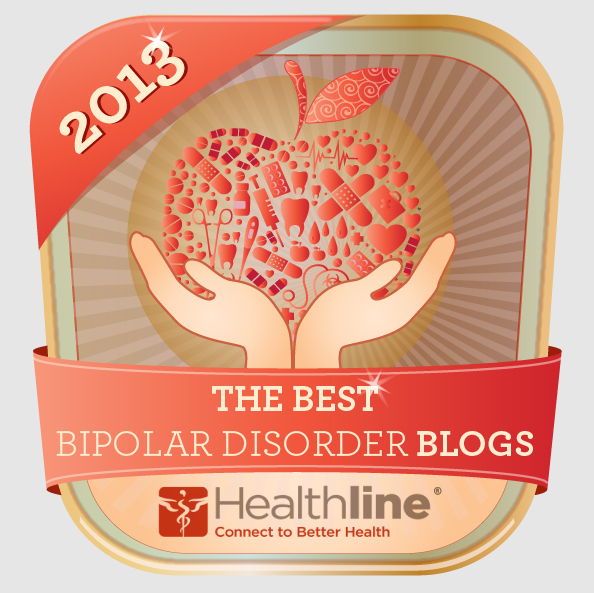 LMAO “I ❤ Bipolar." 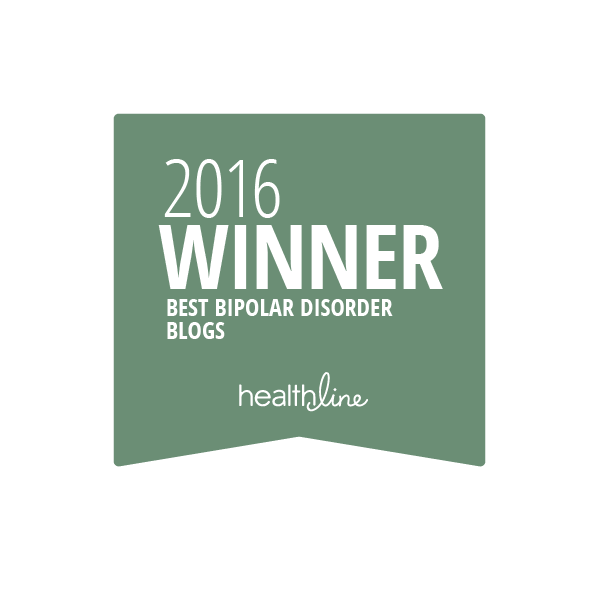 I ❤ bipolar but I ❤ borderline even more.